First, Clarify Your Vision ~ Ask yourself, “what do I want my garden to be”? To entertain friends? How many people? During what time of day? Will it be a place for children? Pets? Is there a season when I know I will want to be out of doors? Would I love to have flowers and greenery for cutting? Fresh picked herbs and vegetables to eat? Do I want to attract hummingbirds and butterflies? Be surrounded by wonderful scents? Is a nice view from my kitchen window, or from the porch, patio, or deck important? Do I want to give my house great curb appeal? Create a little envy among the neighbors? Give passersby a good reason to look? Am I planning to sell soon and just need to give my yard a little facelift? Give some thought to what you like and don’t like. Do you prefer a riot of colors or subdued greens? Are flexible grasses or finely pruned topiaries your thing? Get a folder and collect ideas. Save appealing photos from magazines or the web. Start a Pinterest board of your favorite images (please, not the grand estate gardens of Europe). Go to the library and do some research. Begin to consider what style you like. The style of your home’s interior might be a good clue. Are you drawn to modern or traditional furniture? Do you like farmhouse rustic or a beachy vibe? Planning a garden is very much like interior design. What kind of look and feel do I want, what colors do I like, and of course what problems do I have to address and how much money can I spend. In what plant hardiness zone do you live? 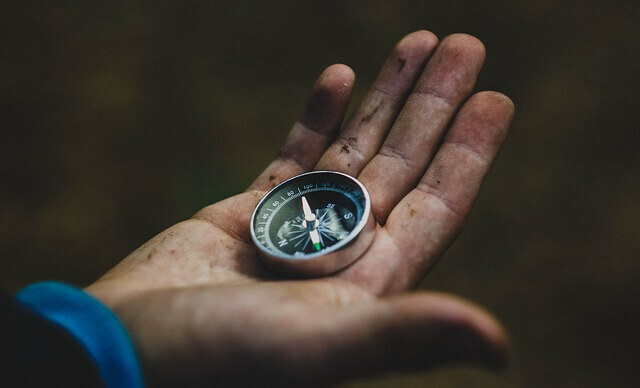 With a compass locate north, south, east, and west on your property? Get a soil test done. Where are the house and trees and how much shade to they cast? Do you get full sun, morning sun, afternoon sun, or shade? Is it dappled or full shade? From which direction does the wind usually blow? Are there places where nothing seems to grow? Is your walk too narrow? Is your patio too small? Do you have a patio? Is it uncomfortably sunny? Could you use some steps or stepping stones to make walking easier? Do you need some lights to see the path? Would it be nice to have a little more privacy from your neighbors? Decide What You Need & What You Want. After you’ve done your research, take a few minutes, get pen and paper, close your eyes and imagine what would delight you. What do you see in your mind’s eye? Write that down. Then get practical. What problems do you have with your garden? Write all of those down too. What do you do first? Unfortunately, you should address the practical issues first. 1. First, deal with drainage problems. retaining wall, install those next. Tip – Place pipes below walkways and other areas where you might want to thread wires for lighting or pipes for an underground sprinkler system at a later date. Stuff the ends with rags to keep them clear. 3. If you need to screen for privacy, make a plan and put money into planting larger trees and shrubs. You’ll be able to enjoy your outdoor space much sooner. Have an overall plan in place even if you are only able to handle one area at a time. Most people don’t have the time or money to do it all at once, but it helps to work towards a vision. A plan will keep the garden design cohesive by reminding you where you want to end up, and help save money by preventing you from impulse buying plants when you visit the nursery in the spring. We’re all guilty of that. Finally, you need to ask yourself “how much time and money do I have to spend on my garden?” One of the funny and sad comments landscape designers make is “never go back to look at your jobs later”. Many people have a great vision but underestimate the amount of time required to maintain certain gardens. Plan & Plant for Low Maintenance. Plan a garden that will be easier to maintain. – Schedule the maintenance tasks in your yard for the most effective times of the year. For example: Cut back ornamental grasses in the early spring before they start to grow. 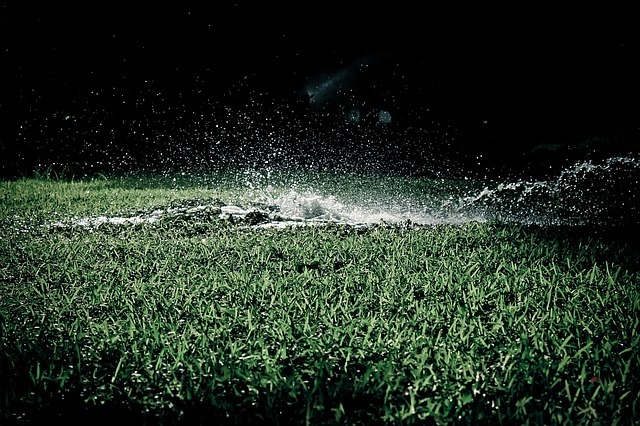 Overseed and fertilize your lawn in the late summer or early fall. Plant shrubs and trees in early spring or fall to cut down on watering and give them a better start. annuals, and lawn. There are many, many trees and shrubs with flowers or colorful, interesting foliage that will keep your garden exciting year round. most impact, use annuals or long blooming perennials. mulch them, then add some high impact areas of color from annual flowers and you will be ready for summer. A little weeding and watering now and then, a little trimming the bushes and mowing the lawn and you’ll be able to enjoy your new landscape with much less time and effort. 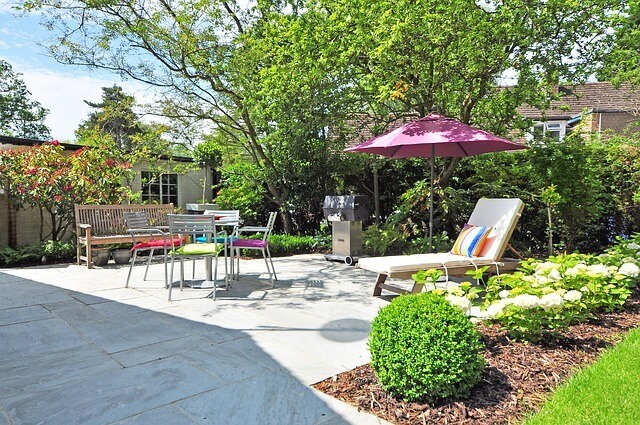 make the garden more inviting, extend your livable area and cut down on maintained space. Although these projects are initially expensive, they are a really good value in the long term and most are within the scope of a do-it-yourself project. Tip – Covering the ground with weed cloth then small stones or gravel will become a high maintenance nightmare before too long. I know it seems cheap, but, unless you live in an arid environment, don’t do it. – Reduce the size of your lawn. Plant more trees, shrubs, and groundcovers. Be kind to our planet. Plan before you start your garden, and you’ll reward yourself with the landscape of your dreams.